In our quest to build loyal relationships with our highly engaged and connected U.S. Latino audiences, Entravision has hosted over 500 events and concerts across the country for over 20 years. These organized programs are critical in providing a synergistic extension of our media platforms to deliver comprehensive, multi-faceted campaigns for our advertisers. With a TV and Radio footprint extending to 24 markets, plus an Audio Network that boasts the biggest on-air Spanish-language personalities in radio, and the #1 comScore ranked digital ad network, Entravision can uniquely reach the thriving Total Hispanic Market, by delivering national influence with hyper-local activations. 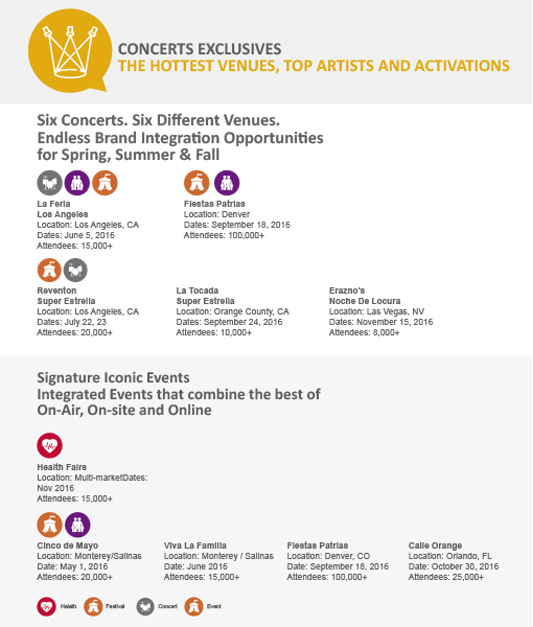 Entravision events consistently draw capacity turnouts, feature the hottest artists, and take place in premiere venues, enabling us to create signature experiences that continue to expand year after year. 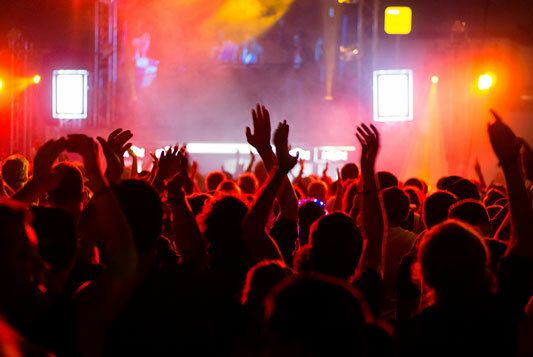 Erazno’s Noche de Locura, one of the newest and hottest trending concerts in Las Vegas featuring only A-list and award winning Mexican Regional bandas and artists. With events that truly reach and resonate with U.S. Latinos, we know we can help you build a custom plan that will create your own signature moment.